Glasscock County Jail/Courthouse Garden City Texas. The County Jail (1894) sits on the courthouse square. This building was the courthouse before the present one was built. With its small population, the jail has been vacant for years at a time. and current Glasscock County courthouse. 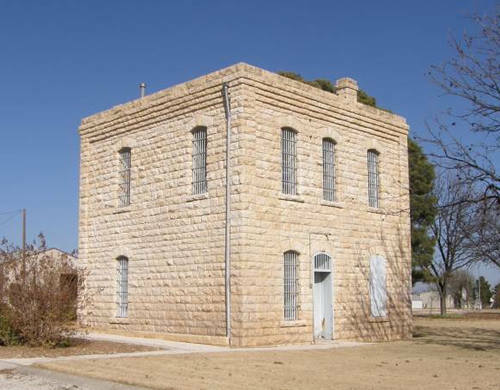 On May 9, 1893, a little over one month from the date of Glasscock County's formal organization, the first county commissioner's court issued bonds to erect a combination courthouse/jail building. L. T. Noyes of Houston, with the assistance of plasterer William T. Lovell, completed the structure on February 12, 1894. 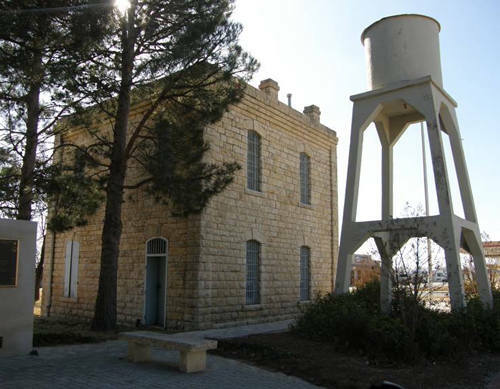 Originally, the ground floor of the building was used for court sessions and the second floor used as the jail. The 2-story stone building, later used only as a jail, features subtle Classical influences, including corner pilasters and a tall corbelled cornice. 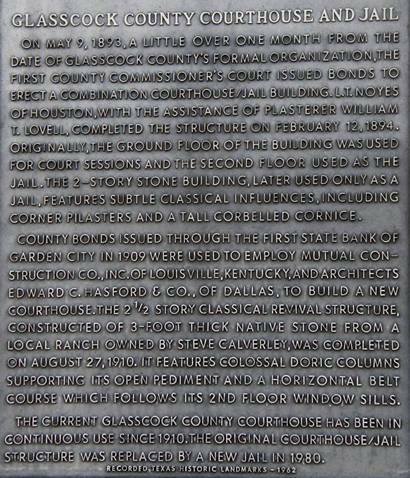 County bonds issued through the First State Bank of Garden City in 1909 were used to employ Mutual Construction Company, Inc. of Louisville, Kentucky, and architects Edward C. Hasford & Co., of Dallas, to build a new courthouse. 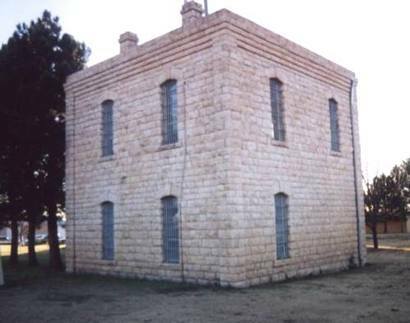 The 2 1/2 story Classical Revival structure, constructed of 3-foot thick native stone from a local ranch owned by Steve Calverley, was completed on August 27, 1910. It features colossal Doric columns supporting its open pediment and a horizontal belt course which follows its 2nd floor window sills. The current Glasscock County Courthouse has been in continuous use since 1910. 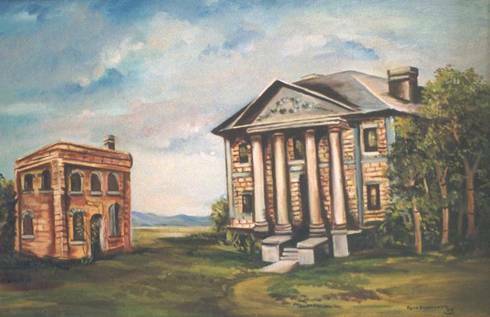 The original courthouse/jail structure was replaced by a new jail in 1980.